3 Bedroom Bungalow To Rent in Loughborough for £895 per Calendar Month. The property briefly comprises of hallway, stunning brand new kitchen diner with integral oven, hob, extractor and space for further appliances, 3 bedrooms (2 double and 1 spacious single),fantastic newly fitted bathroom with shower over the bath and spacious lounge with french doors overlooking the rear garden. 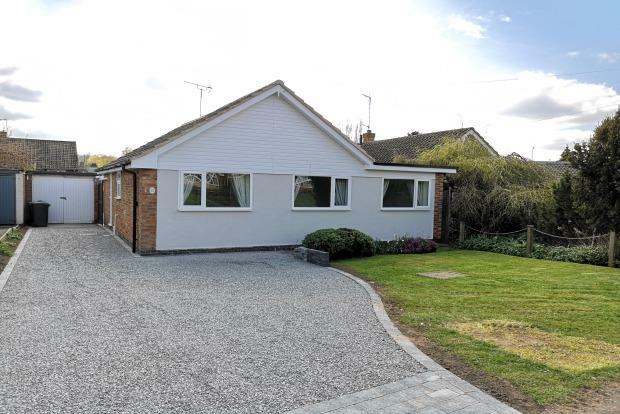 Externally there is a pleasant front garden area mainly laid to lawn, large driveway proving ample parking leading to detached garage and access to the attractive large rear garden with patio and lawned area. The property also benefits from gas central heating (recently installed boiler), brand new electrics and UPVC double glazing.